“In the photo, Vladimir Ilych Ulyanov, known by his revolutionary nom de guerre, Lenin, inspired a small cadre of Communist intellectuals to agitate amongst the workers and soldiers of Petrograd” This is present day St. Petersburg. Well written, gets right to the point and lays it out for an easy read. 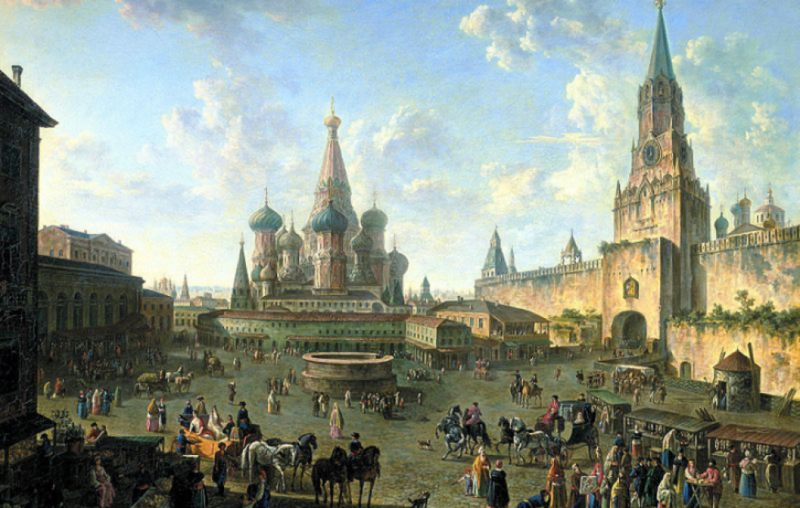 The revolutionary feelings spread throughout Russia quickly, through most levels of society. Its incredible to think how this massive change came about with so many dramatic changes. The power of these people to overthrow the government is unimaginable to me living in contemporary America today. It is interesting but slightly unnerving to think about all that must have gone into completing this task and restructuring into the Soviet Union. I enjoyed this post it was a short read that laid everything out. It’s crazy to think how this revolution by the small group of Bolsheviks went about and eventually lead to them taking power of Russia and changing everything making it the Soviet Union. Like Nathan said above me I could never imagine that happening today in the United States or an many places for that matter. How do you connect the fact of Bolshevik victory with the complexity of Russia’s political, economic and social crisis? There are some great posts on those issues this week — check them out! Interesting post. I wrote about the Kornilov Affair which impacted Kerensky’s role and influence with the people. His actions against Kornilov and his self-declaration as head of a new government, known as a five man ‘Directory,’ severely damaging his personal authority. I’m glad your post connected the reaction into the formation of the Soviet Union. I really like your post. I think it is important to note how a small faction of people was able to overthrow a government and establish the Soviet State. I would argue however that the provisional government was weak and ineffectual, which gave rise to the power of the Bolsheviks and ultimately allowed the Soviets to gain control.